One of a mother’s greatest gifts to her children is the ability to nurture and care for them in a safe and loving environment. Unfortunately, there are mothers today fighting to provide these everyday, "basic” needs that most of us take for granted. There are mothers who are searching for a way out of domestic abuse and seeking a brighter future for their families—a future filled with hope and not fear. 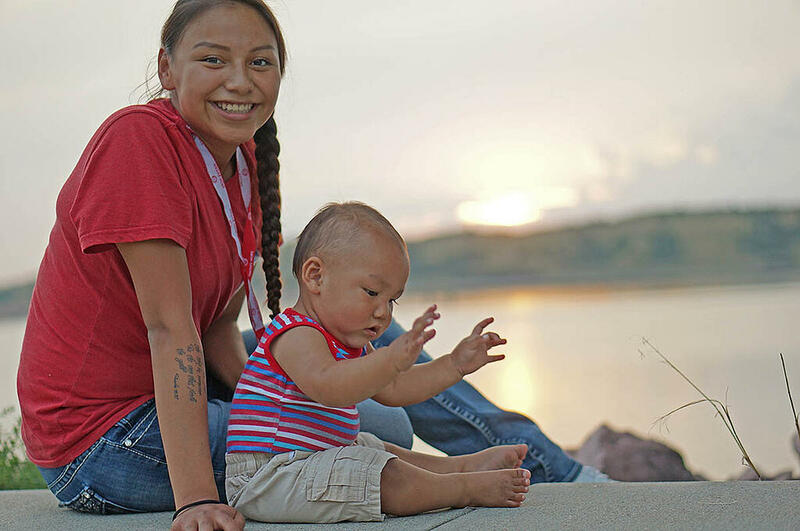 For this very reason, Native Hope partners with programs that offer a refuge for women and their children to get back on their feet and realize the hope of a new beginning. The Sacred Heart Center, located in Eagle Butte, South Dakota, is one of our partners dedicated to helping victims of domestic violence and/or sexual assault find a safe place to stay for themselves and their children. Staffed 24 hours, 7 days a week, this organization gives women the assistance they need while they recover from the trauma that they have experienced. Private bedrooms allow a woman and her children to have their own space and the assurance of security. The center is also devoted to offering discretion and confidentiality at all times to ensure the safety of those seeking their assistance. This Mother’s Day, give the gift of hope to mothers who are striving for a new beginning. You can be a part of helping to break the cycle of abuse and empowering women to take back their lives. Your gift will help provide food, shelter, counseling, and hope to mothers fighting to make a new start for themselves and their children. Previous PostNative Hope and Dreamstarter in D.C.